The species is widespread in most of Britain except the extreme north. A Palaearctic species widespread in north-western and central Europe. 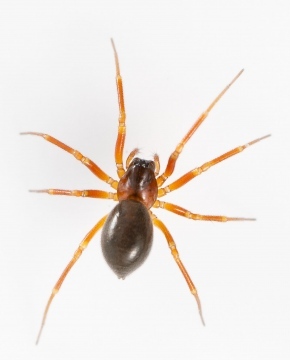 G. rufipes occurs mainly in undergrowth and on bushes and trees in woodland but also in damp and wet situations and in a wide variety of other habitats. Adults occur mostly from early to mid-summer, with occasional adults recorded throughout the year.